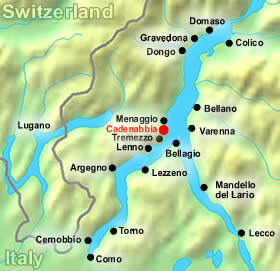 Here’s where we are (red dot)…Watch the Cadenabbia Italy Video! Cadenabbia and nearby Griante hotels are nestled among some of the most prestigious Lake Como villas offering splendid views of Bellagio and are a fantastic location to begin exploring other Lake Como towns. Keep in mind that the main road can get quite noisy even during early morning hours as Cadenabbia and Griante have only one main road. Now you can do a search to compare the rates of all Cadenabbia/Griante hotels by choosing your preferred dates from the search box below OR you can browse through all the hotels listed below. 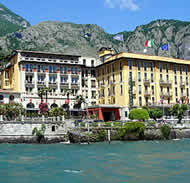 Location: Right on the lake and main road, adjacent to Villa Carlotta. Description: Recently renovated, this elegant Cadenabbia hotel has very quiet and clean rooms with private balconies offering splendid views. Remember to book a lake view room. Location: Right by the lake and main road, close to the ferry dock. Description: Very popular with British tour groups. Small, but clean and tidy rooms with grand views of Lake Como. 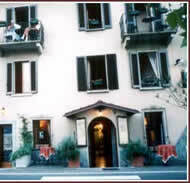 This hotel operates on an all inclusive basis, with a large variety a dishes for dinner meals. 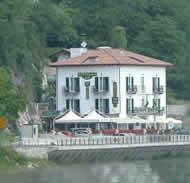 Location: Right on the lake, the main road and very close to Cadenabbia’s ferry dock. Description: Comfortable, family-run hotel in an excellent location. Rooms are small, but clean and tidy. A great value for your money! 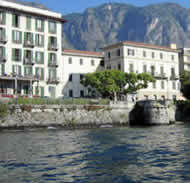 Location: Located in nearby Griante (halfway between Menaggio and Cadenabbia) right on the lake. 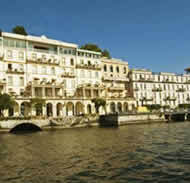 Description: Simple, Venetian-style rooms with balconies and beautiful views of the lake. Nice restaurant with lake-view terrace and a private beach. Description: Simple rooms but exceedingly clean and well-kept. Very friendly owners. Breakfast is simple but delicious. Restaurant has food of fantastic quality.